Anybody know exactly what is occurring in the harbour - there is a floating platform with a crane and 2 support vessels. 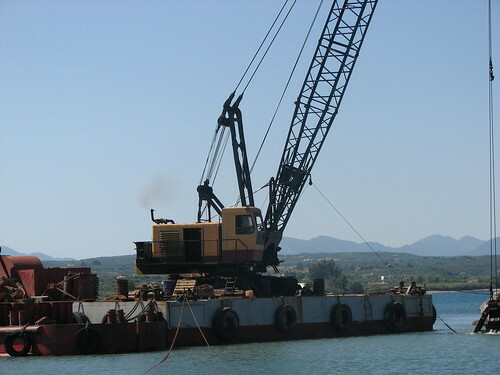 Sounds like the one that has been at Finikounda - If so, it is for dredging purposes. Dredging, it's been all up the coast on the other peninsula for some weeks now, obviously it's your turn over there! Drove through Ag Nik this lunchtime and I have never seen so many people staring at the harbour. The crane had just lifted out what looked like a 10 foot cube of stone from the harbour mouth and was dumping it on its pontoon. the reiver wrote: That's the one !